The US market tends to be more competitive, resulting in better offerings for consumers. Airline cards and Hotel cards tend to be the best for consumers in the US. Cashback type of cards tend to have similar offerings in Canada and the US. As mentioned in previous articles in this series, the Canadian and US credit card offerings tend to differ. The US tends to offer better rewards for consumers, in general, but are especially better in the areas of airline and hotel loyalty programs. In this article, I propose a few of the reasons for this discrepancy. I have a few theories on why the airline category, in particular is noticeably more competitive in the US than in Canada for credit cards. These are purely my thoughts as a consumer. I have no additional insider information on the issue. Another issue, is that of a Monopoly / Oligopoly in Canada vs more competition in the US. This rings true especially loud in the loyalty program space. In the US, there are more than 3 major national airlines with loyalty programs that can have a variable value. In Canada, there is really only Air Canada that has a loyalty program. Westjet’s program is truly a fixed rebate for travel. As a result, the American loyalty programs have to be more flexible in their relationships with the banks / credit cards to ensure they remain competitive. 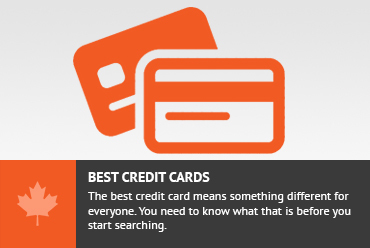 In Canada, Aeroplan really has the ability to call the shots with their credit card affiliates and can offer much less since it is desired more. In the hotel and even flexible currencies such as American Express membership rewards, the fact that there are many loyalty programs that cater to US consumers allows more cards in the US to be sponsors with smaller loyalty programs. This means there are more loyalty programs represented in the credit card space, each of which is fihgting for a piece of that pie offering slightly more than the next guy. The presence of competition is helpful to the consumer. I believe that the cashback / fixed value points programs are probably the most comparable in terms of rewards between Canad and the US.The simple reason, I suspect, is that it is very easy for a bank to offer a cashback type of program to consumers. The interchange fees that the VISA, Mastercards and American Express of the world charge are likely similar, regardless of currency, so the amount available for banks to take is probably a similar percentage, in Canada or the US. Apart from the 3rd idea, these 3 ideas are basically the answer to the ones above. A major problem that some credit card rewards / loyalty programs face is that they annoy their customers when they lower the value of those currencies. For example, Aeroplan might price an award at 50K miles this year and entice people to earn miles on that basis. However, 2 years later when someone goes to redeem those miles, the price might have gone up to 60K and the taxes / fees may have also increased. This can be very frustrating to a consumer and looks very bad on the part of the bank even though it is completely out of the hands of the bank. By offering cashback / fixed value points, the bank never has to lower their return on the card. This probably yields better retention of cardmembers and lowers overhead. There are a few reasons why the Canadian cash back / fixed value points cards line up well with US cards in terms of consumer offerings. A special question . How does a canadian with good credit standing get a US credit card .without a sin number? citi bank US will not under the Patriot act. Do you know any credit card companys that canadians can work with to get a US dollar Visa credit card. You will need a Social Security Number. There is no way around it. You can call your bank and ask but in general they dont. TD claims that they allow you to bank seamlessly, but anecdotally (small sample size) this appears to not be the case. I would say that it is not easy to get a SSN if you have no relation to the US and have never worked in the US. Once you have that SSN then you can build your US credit and then get the cards. Don't subscribe All Replies to my comments Notify me of followup comments via e-mail. You can also <a href='https://www.creditwalk.ca/comment-subscriptions/?srp=4324&srk=2648578ecea05c83754707575dc5a494&sra=s&srsrc=f'>subscribe</a> without commenting.